Beautiful Crime Gallery > News > Uncategorized > NO BOUNDARIES: Artists Wanted! Beautiful Crime Gallery and Agency are working with National Rail to highlight the advantage of having a Disabled Railcard (which offers a third off ALL train tickets, regardless of peak or off-peak hours) and the improvements the rail industry has made to make rail travel more accessible. 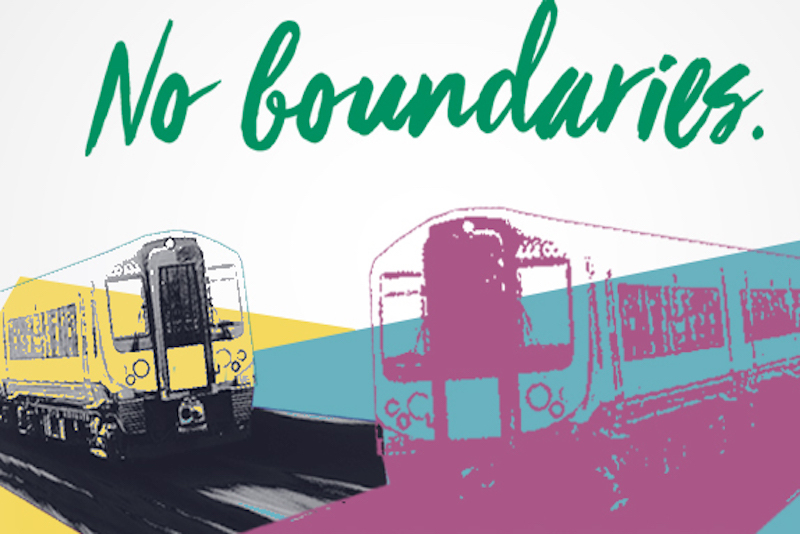 In August, we’ll all be working with Royal Association for Deaf people, Scope, Stroke Association and The National Autistic Society to launch an exhibition called No Boundaries, which will tour some of Britain’s most iconic train stations and encourage talking and travel without boundaries. Artists from all backgrounds and all ages are invited to send examples of their work to be considered for the project. If selected, you will be one of 20 artists asked to create a work inspired by a train journey that National Rail will arrange. All artworks should serve to highlight the accessibility of travel and the freedom of being able to travel without boundaries. Please note some of the journeys will be filmed. Perhaps a place you have visited by train holds a particular memory for you, or perhaps a particular journey you made offered incredible scenery as the sun was setting. The inspirations are vast! If selected, artists are invited to consider themes of time, place and memory whilst in their train journey, as well as landscapes and cityscapes they experience. • Take part in one of the UK’s most inspirational art exhibitions? • Educate people about different disabilities and the support that’s available? • Inspire people to explore Britain by train by highlighting the accessibility of different locations? • Interested in exploring Britain using a Railcard and creating a piece of artwork based on your experience? • Able to go on return journey, for one day, between 25th June – 18th July? • Skilled in illustration, painting, textiles, photography, graphic design or collage and able to create a final piece for the exhibition by Thursday 2nd August? If the answer to all of these questions is yes then please click here to enter!